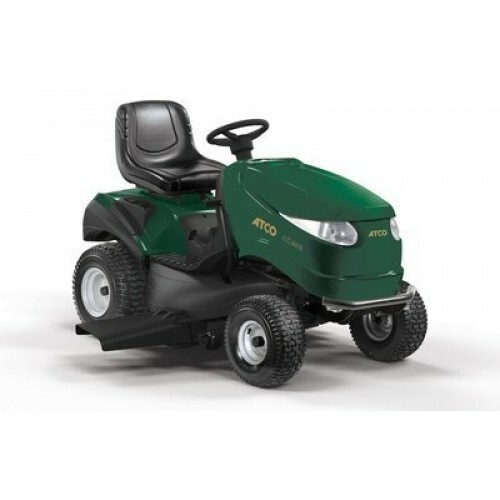 The GTL 4HR 4WD extends the Atco range of side discharge mulching tractors and is a great alternative if you don’t want to collect your grass cuttings and require a larger cutting area. Powered by a Briggs & Stratton Intek 8240 (EFM) 724cc engine and benefiting from a hydrostatic transmission system that gives infinitely variable forward and reverse speeds simply by using a foot pedal. Blades are engaged or disengaged at the flick of a switch through an electronic blade clutch. Cutting height is adjustable from 25mm to 100mm. A snap on hose connection on the cutter deck facilitates cleaning after use.